Here at the Next Small Cap , we’ve discussed time and again the massive growth potential of lithium-ion batteries, which power Electric Vehicles (EVs) and mobile devices. What most ASX investors are now waking up to is that lithium and graphite stocks are not the only way to play this growth trend. Cobalt — a hard, grey metal — is also an essential element in lithium-ion batteries. With a sea of ASX lithium explorers benefitting from the forecast surge in demand for lithium over the course of the last few years – it appears that 2017 is shaping up to be the year that cobalt steps into the limelight. 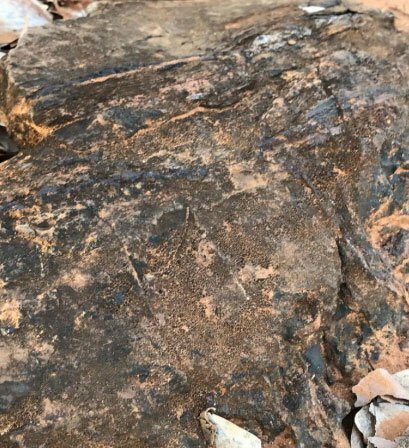 We are anticipating a number of cobalt plays accelerating their exploration efforts and any ASX stock that can identify serious commercial quantities of cobalt stands to be rewarded, especially as the cobalt price recently shot through the US$40,000 tonne barrier and is on track to reach US$50,000 within the coming months. One ASX stock will commence drilling at its cobalt project in early March, just weeks from now. The company has recently raised cash and currently holds approximately $1.73M in capital – more than enough to fully test its project with the drill bit – which if successful, could result in some serious share price traction. On top of current market dynamics, the project location is another point of difference specific to this ASX cobalt explorer – its project is located in Namibia – in the very same region as the cobalt endowed DRC, home to over 60% of the world’s mined output. Exploring in Namibia has a distinct advantage over the DRC: the country is more politically stable than the DRC, and has more established infrastructure to help get any cobalt out of the ground and off to markets. There also does not appear to be any ethical question marks like the DRC faces with its cobalt extraction. Having said that though, Namibia is not without its own problems, and this is still a very high risk stock for political and social reasons. Getting mining projects up and running in countries such as Namibia is no simple feat, and there may be challenges ahead. This ASX stock has an option to acquire a significant stake in the Opuwo Cobalt Project, which has the potential to host large scale, sediment hosted copper-cobalt mineralization – with approximately 30km strike length of prospective mineralized horizon, of which 20km will be tested first. 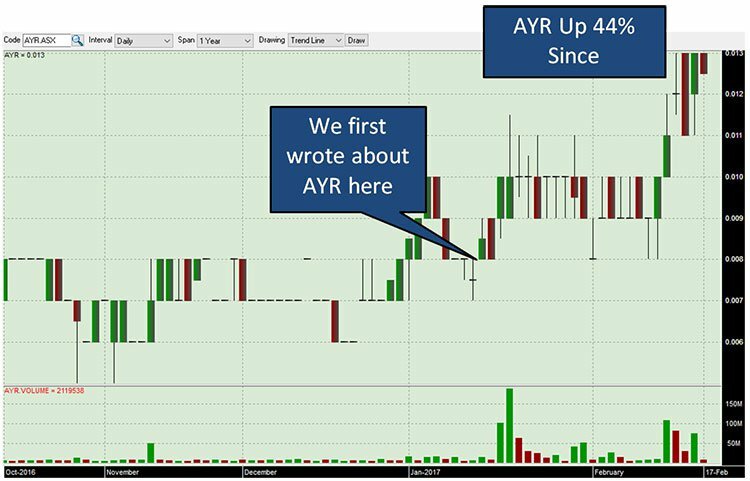 With promising historical drilling already conducted at the Opuwo Project, this company is looking to unlock further value via an immediate RC drilling program. 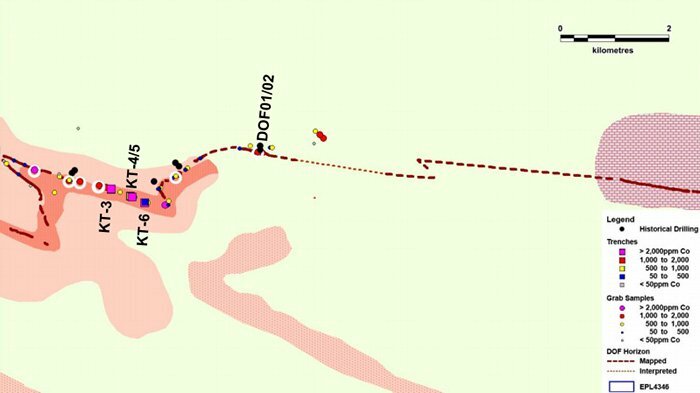 Drilling will test a number of identified targets, with the key aim to provide a systematic first pass test along a 20km strike length of the Dolomite Ore Formation (DOF) horizon. A series of shallow RC drill holes spaced between 500m and 1500m are planned to be drilled in this first phase in early March, with results anticipated to be received by early April. Samples from drilling will be used to carry out first pass metallurgical testwork. So with drilling imminent, and with the expected continued rise of cobalt in 2017, there could be significant upside for this $12.4 million capped ASX junior over the coming weeks and months. 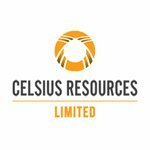 Small-cap explorer, Celsius Resources (ASX:CLA) is setting itself up to potentially cash in on the current cobalt boom and last month agreed to acquire 100% of Opuwo Cobalt Pty Ltd, the company which holds an option to acquire the Opuwo Cobalt Project. To gain exposure to the project CLA will acquire Opuwo Cobalt Pty Ltd via staged exploration expenditure. Before we go too far, it is worth looking at a couple of other Next Small Cap cobalt stocks that we have covered this year – in both these cases, the stocks were “pre-drill” when we first wrote about them – just like CLA is right now. We are hoping for a similar style run, if not more, as CLA edges closer to its funded cobalt drilling event. With CLA set to drill in early March – is it set for significant share price appreciation as well? The first step of CLA’s vision to discover a new Namibian cobalt resource was realised on January 19, when the company announced it had acquired an option to earn an interest in the highly prospective Opuwo Cobalt Project in north-west Namibia . The Opuwo Cobalt Project is located 800 kilometres from the capital Windhoek and 750 kilometres from the port at Walvis Bay — each connected to the project by bitumen roads. The project has excellent infrastructure and the town of Opuwo, 30 kilometres to the south, has an airport, accommodation, fuel supplies and a hospital. The cobalt-copper (zinc) mineralisation at the Opuwo Cobalt Project is hosted in the Dolomite Ore Formation (DOF), within the Neoproterozoic Ombombo Subgroup of the Kaoko Belt. The Kaoko Belt is considered a western extension of the Copperbelt in Congo and Zambia. 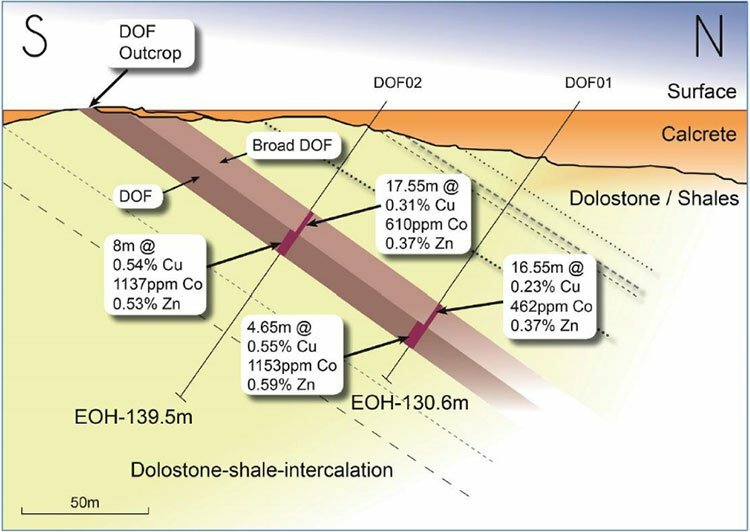 The DOF horizon has been mapped and sampled along its outcropping strike length of approximately 20 kilometres and appears to be mineralised throughout its extent. Mineralisation is likely to be stratigraphically controlled as it appears to be largely confined to the organic rich DOF layer. The DOF horizon is of variable dip and thickness, ranging up to approximately 14 metres thick, in the areas of outcrop. The central section is hidden under recent alluvium, extending for approximately 8 kilometres, and forms a break between what has been named the eastern and western DOF. The project hosts a bulky large scale ore belly with consistent mineralisation, and holds the potential for elevated growth. The Opuwo Cobalt Project has a significant prospective mineralised horizon with an approximate strike length of 30 kilometres, with the potential to host large-scale sediment hosted copper-cobalt mineralisation. Over 20 kilometres of the horizon is outcropping and has been mapped and sampled with the horizon not closed off to the East. It’s also worth noting that should CLA identify commercial quantities of cobalt in the upcoming drilling, the mining process is expected to be fairly straightforward, as petrographic studies indicate sulphide mineralisation. Which will keep costs down – always nice. CLA is set to acquire Opuwo Cobalt Pty Ltd in exchange for 27,777,773 shares to be issued to Opuwo Cobalt Pty Ltd shareholders (following shareholder approval – scheduled for March 2). – An initial 30% interest will be earned by spending $500,000 within six months of exercising the option to proceed. – A further 30% earned on spending a further $1,000,000 within 12 months of completing the stage 1 earn in. – A final 16% earned on spending an additional $1,000,000 within six months of completing the stage 3 earn in. After this 76% interest is earned all parties will be contribute to exploration. The project vendors have experience operating in the country and will provide access to in-country drilling services. This will ensure the continuity of the people involved and a smooth transition. The local community could also benefit from the economic rewards of a mining project in the region and the immediate jobs that creates. There could also be some incremental trickle-down effect into other industries including the Etosha National Park and the region’s hydro scheme. However, while any social impacts are hard to gauge at this early stage, what we do know is it now has a play in hand that could give it a strong entry into an accelerating cobalt market. As a vital material, cobalt, like lithium and graphite, has the potential to offer up some potentially rewarding investment opportunities on the back of the emerging rechargeable battery and Electric Vehicle boom. EV sales rose to around 774,000 vehicles globally last year, with this number expected to grow exponentially to hit 1.1 million sales by the end of 2017. 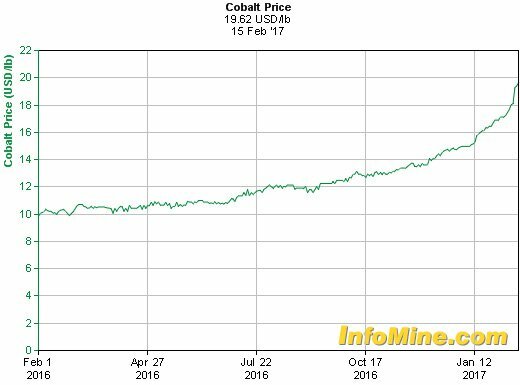 With that in mind, cobalt could have its year in the sun as even low grade cobalt was pricing in at AU$21.84 per pound recently, up more than 80% on its December 2015 lows. When you see headlines like this one below, you gain a clear understanding as to why demand is turning. Cobalt has long been an important material in manufacturing aircraft engines, powerful magnets, and high temperature tools and dyes. But now surging demand for rechargeable batteries to power EVs and an endless array of mobile devices has been the biggest driver of cobalt consumption growth. Today, around 40% of all cobalt is used to make rechargeable batteries, and within two years this is likely to rise to 55% of all cobalt demand. Much of that comes from the auto industry, as demand for cobalt-containing batteries is expected to rise rapidly in coming years and sales of plug in hybrid and fully electric vehicles pick up the pace. 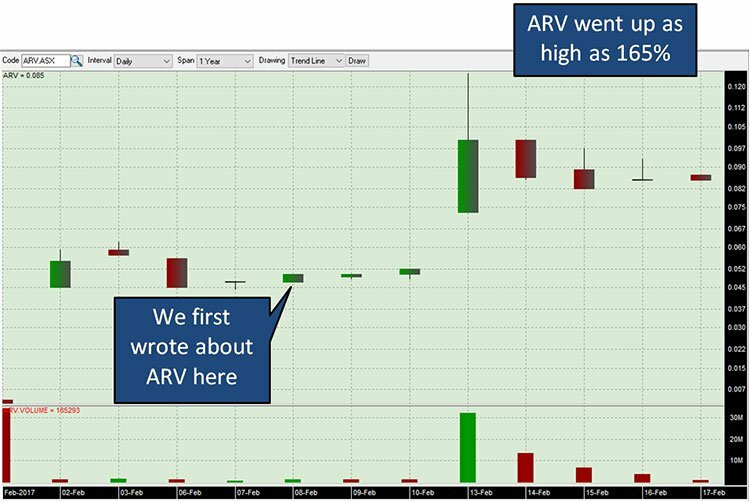 So this $12M capped company is hitting the market at just the right time and, given the history of the project, hasn’t wasted time in preparing to drill. Previous exploration at the Opuwo Cobalt Project has thrown up encouraging results, which CLA is using to fast track its own development. Let’s have a look at historical drilling results. As we indicated previously, the Opuwo Cobalt Project has potential to host large-scale sediment hosted copper-cobalt mineralisation, with approximately 30 kilometres strike length of prospective mineralised horizon. Previous drill holes have tested the Dolomite Ore Formation (DOF) horizon with five percussion holes drilled below outcropping DOF and two diamond holes drilled at the western end of the covered zone. The upcoming drilling will seek to confirm historic results and look for higher grades following the recent high grade surface samples released by the company on January 30 . Five of the 11 samples returned assays greater than 1000ppm Co., up to a maximum of 3655ppm Co. From 55 historical surface samples of the DOF horizon and its adjacent lithologies, 12 samples returned assays greater than 1000ppm Co, with 4 returning assays above 2000ppm Co.
Due to the advanced nature of the Opuwo Cobalt Project, the immediate focus of exploration will be drilling, which is set to commence in just a few short weeks in early March . CLA now has a firm timeframe to start its drilling program. 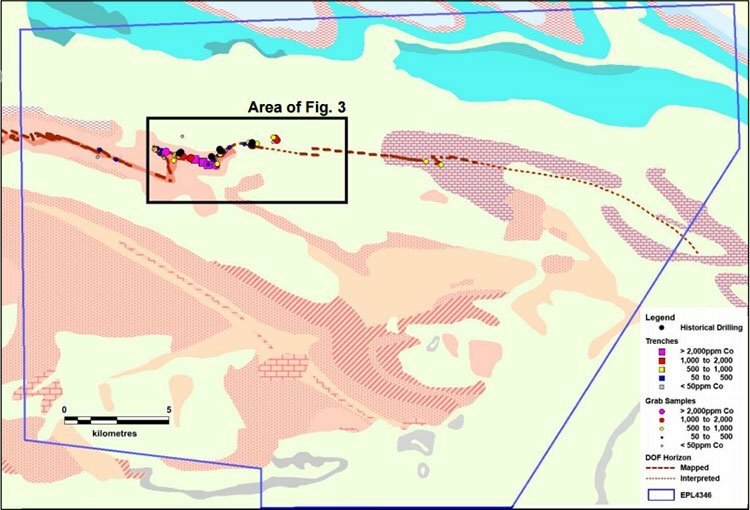 Drilling will initially test the mostly covered DOF horizon along strike from historical drill holes DOF01/02 to determine the key controls of mineralisation, and thus, vectors to potentially thicker and/or higher grade mineralisation. As stated above the key aim of the drilling is to provide a systematic first pass along a 20km strike length of the DOF horizon, with a series of shallow RC drillholes spaced between 500m and 1500m to be drilled in the first phase. Results are due in April, with the drilling expected to provide a first test of interpreted DOF positions under shallow cover. Samples from drilling will also be used to carry out first pass metallurgical testwork, principally liberation and leaching tests. A consultant to CLA, Brendan Borg, recently completed a field visit to the project as part of due diligence investigations. Verification surface samples taken from the Opuwo Cobalt Project by Borg have returned results as anticipated based on historical data. Namibia offers an alternative to the politically unstable Democratic Republic of Congo, from where 65% of all cobalt production comes. While rising cobalt market demand is clear, demand for ethically sourced cobalt is also becoming especially valued. 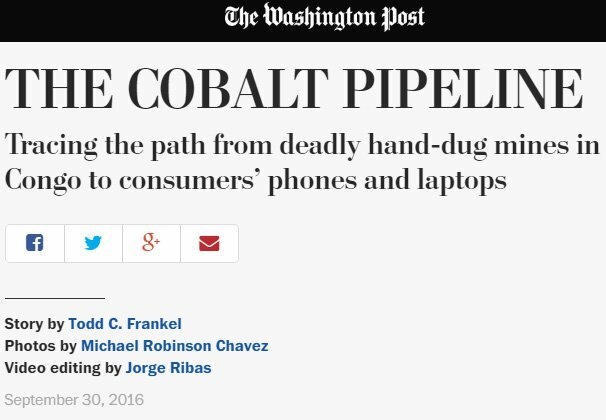 The US Labor Department lists Congolese cobalt as one product that it has reason to believe is produced using child labour. Cobalt mined by children as young as seven is entering the supply chains of major auto and technology companies. This is such an issue that despite supply squeezes, cobalt production is being cut from Congo. And this pressure to do so could be felt be much more intently any time now. That’s because US law requires that American companies try to verify that their use of any of the ‘conflict materials’ of tin, tungsten, tantalum and gold is obtained from mines free of militia control in the Congo region. 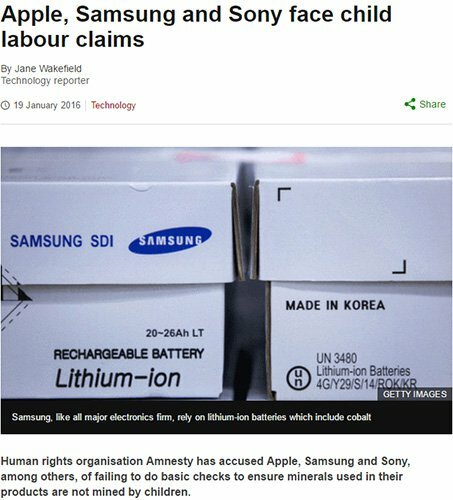 There’s talk that this law could be extended to cobalt... and the idea is even supported by Apple, which in 2014 added cobalt to one of 40 materials listed in its responsible sourcing program . You can see why the location of CLA’s project in Namibia is a major draw for investors. 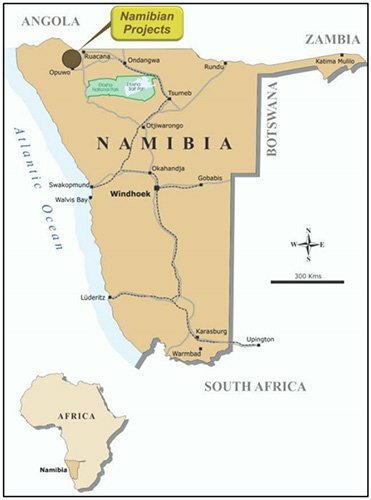 Sourcing cobalt from Namibia provides an obvious alternative to Congo. Namibia is one of the most politically stable countries in Africa, it has well developed infrastructure, and is encouraging of foreign investors. It is thus hoped that the work by CLA will unearth a new cobalt district, from which an ethical supply of cobalt can feed the demand of the likes of Apple as companies such as this multi-national increase their corporate responsibilities. At the same time though, metal prices are notoriously unpredictable – so there is no hard and fast guarantee that cobalt prices will always continue to go up. Do your own research and invest with consideration of your own personal circumstances and risk profile. ...the demand for cobalt to make lithium-ion batteries is accompanied by a looming supply crunch. According to Benchmark Mineral Intelligence , the cobalt industry has, in many ways, the most fragile supply of all battery raw materials. This year the refined cobalt market will experience a 3,000 tonne deficit , say independent mining research group, CRU Group . After seven years of oversupply and overcapacity, the group see prices rising onward into 2017 as global demand for refined cobalt exceeds the 100,000 tonne mark and supply tightens. These dynamics have led Switzerland-based mining fund, Pala Investments, to stockpile cobalt — even after prices surged 50% last year — as they still see this as early days with gains still on the table. The fund says cobalt could have one of the best payoffs from the global boom in electric vehicles, largely because the metal has drawn such little interest from investors to date. Yet investor interest may very well change, especially as projects such as CLA’s Namibian cobalt play offers investors not only an ethical tilt at the material coming from a highly prospective region of Africa, but a cheap entry into a market that is set to boom.